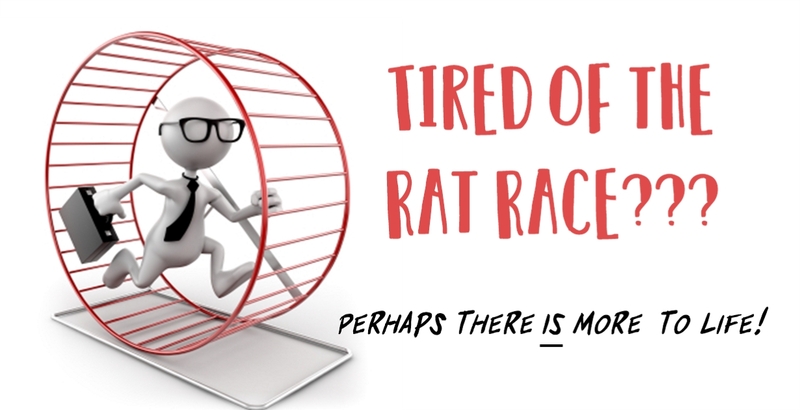 I am often caught in my own rat race. I get up between 4 and 5 depending on when I start work, head to my personal training studio in South Charlotte and start either training clients, myself or do administrative work. The day is filled with clients, putting out fires, taking care of business and fretting over various things that I often have no control over. I am bombarded with text messages, fake phone calls, sales calls, emails, offers, suggestions on how to run my business, life, health, and wellbeing every day. At the end of the day, I can barely look straight; I am listening to an audiobook on the way home. The day has been long by the time I get home, and my sons get the last couple of percent of the energy that is left. My wife often receives nothing, but then she does not have much to give either at the end of her day. On the weekends, I would spend time with my family and one or two choice friends. I would feel desperate to fill my life with things to do and have fun, feeling the need to catch up with life. Before I paused I did not think that anything was going on, after all, I was living my life just like everyone else, and since everyone else is in the same rat race, it seemed reasonable to me. I liked my life for the most part, or at least was content with it. Sure, I would have wanted to read more, have more energy and feel overall better, but everyone seems to struggle with those, and at least I can work partially from home, and only work from 5.30 am to 12.30 pm on Fridays, right? Beginning of June I went on vacation, the first extended vacation I have had in 5 years. I went back to see my family and had a time-out for about 3.5 weeks. I worked some but not nearly as much as I did prior. I was taken out of the rat race and plummeted straight into despair, depression, and unhappiness. If you followed my Instagram and Facebook account you were able to see all the fun highlights; few put their emotional ups and downs on a social media account, most people put their happy side forward, me including. It took me a good while, but having a wife who is getting her Ph.D. in Psychology, my background as a trainer, and coach and my continued education eventually led to me working through my feelings or rather accept them. I realized that my constant listening to music, audiobooks, reading, etc. was just my effort to turn off my thoughts and feelings and overpower what is going on inside. I turned the outside volume up to not having to listen to the inside. I have a lot of what I call white noise going on in my head. Stuff my mind comes up with that is random. My mind babbles, it worries and frets over the future and the past. I realized that my life in the USA or before that in Germany was built on overpowering that fretting by doing a lot. May that be the business or at home. I am just not good being with myself. I realize more and more that it is essential to take a time-out. I know all about mindfulness, meditation and other things that I should be regularly doing and certainly am not doing as much as would be beneficial. There does not seem to be enough time in the day between work and family. I have become in many ways my client, I fell into the trap that I see so many of my clients in, daily. It is so much easier to understand other people’s issues than your own. I had to get more comfortable being with myself, my thoughts, feelings, not judging them or giving them too much power. Wow, that is hard. I would lie if I told you I mastered it. If I don’t, I lie to myself, try to gloss over it. Take a vacation once a year for at least a week, even if it is at home and focus on yourself and the things that are important to you.